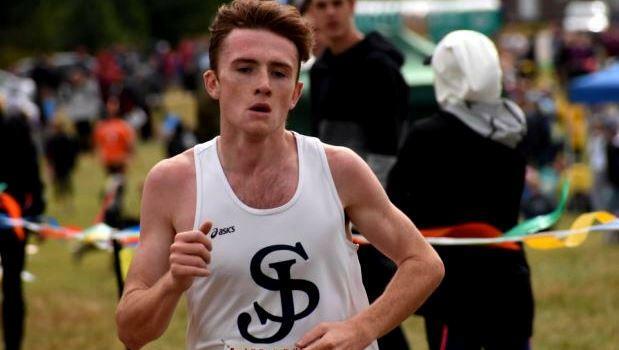 The anticipated showdown between Tristan Shelgren (St. John's Prep), Ryan Oosting (Arlington) and Andrew Mah (Newton North) never materialized at the Coaches Invitational this past weekend when Shelgren and Oosting opted out of the Division 1 race to prepare for the upcoming state meets. Two thirds of that trio should toe the line this Saturday with Mah and Oosting locking horns. This will be the first time the two rivals with face each other since Shelgren posted a more than 20-second victory over Mah at the Frank Kelley Invitational on Sept. 30. Expect a closer affair this time around. In a solo effort, Mah looked very strong at the Coaches meet where he posted a season best of 15:24, a minute ahead of his closest pursuer. Both runners appear to be peaking at just the right time and should be neck-and-neck most of the way with a winning time in the low 15-minute range. The field behind the talented duo is not too shabby, too. Five more harriers have cracked 16 minutes, including Brookline's Lucas Aramburu (15:32.10) and Franklin's Tyler Brogan (15:42.90). Lowell appears primed to make it six in a row for the team title with a solid core of runners that feature its five potential scorers among the top 20. Brookline and Newton North are a few squads that could secure second and third.